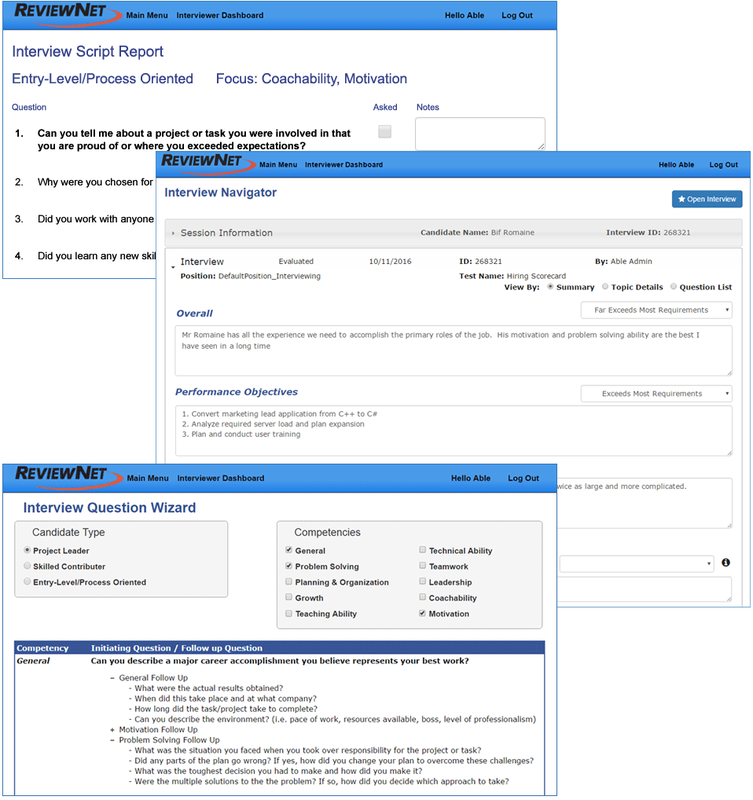 ReviewNet provides an integrated platform for screening and interviewing, including a comprehensive library of interviewing and assessment content, and tools for employers to create their own questions and content. Assessments help interviewers confirm skills and focus on candidate strengths and weaknesses, while saving time and travel. 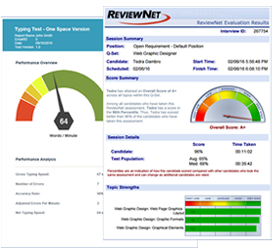 ReviewNet Test Central provides one click access to over 600 IT, office, and industry skill and behavioral assessments published by ReviewNet and our testing partners, including SkillCheck. Assessment results are online and immediate and are integrated with the screening and interviewing process. 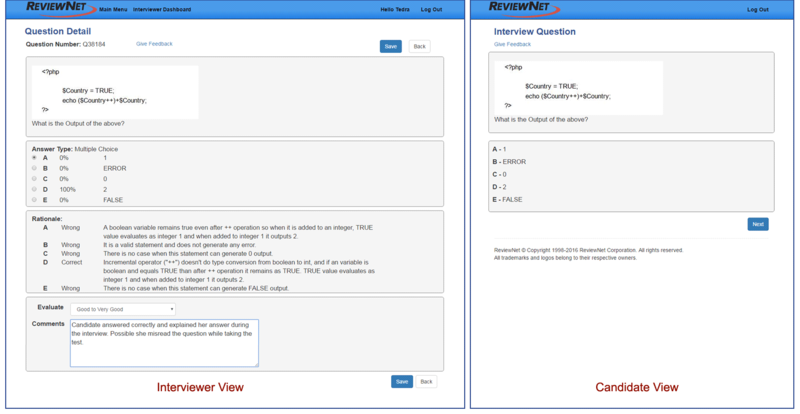 Create your own questions for interviewing and assessments with Author Pro, ReviewNet’s comprehensive, yet simple authoring system. You can build, copy, and share content that meets your specific requirements. 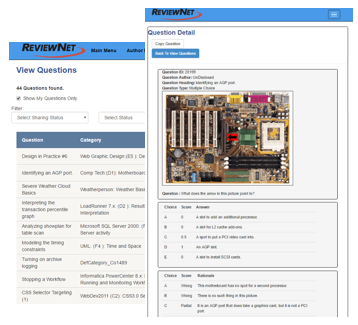 You can even copy and modify questions from ReviewNet’s 20,000 question library. ReviewNet has a powerful API, enabling you to seamlessly integrate interviewing and assessments into your applicant tracking system. Some companies test, but ALL companies interview. 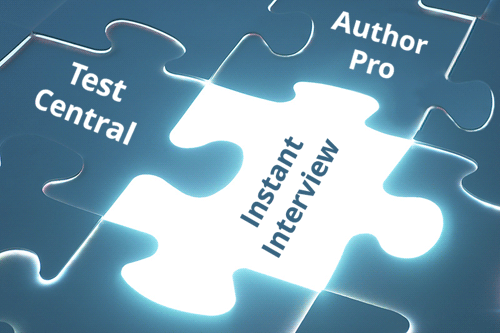 Instant Interview provides a system for repeatable structured interviewing in office or over the phone, reducing travel, cost, and time spent evaluating candidates, and improving hiring outcomes. ReviewNet supports multiple interviewing methodologies, plus our ShareView feature allows interviewers to share visual and audio content interactively with candidates for more insightful phone screening. Use questions from our library with the Interview Question Wizard or prepare an Interview Script to get organized for your interviews quickly and easily. Summarize your interviews with our online Hiring Scorecard. 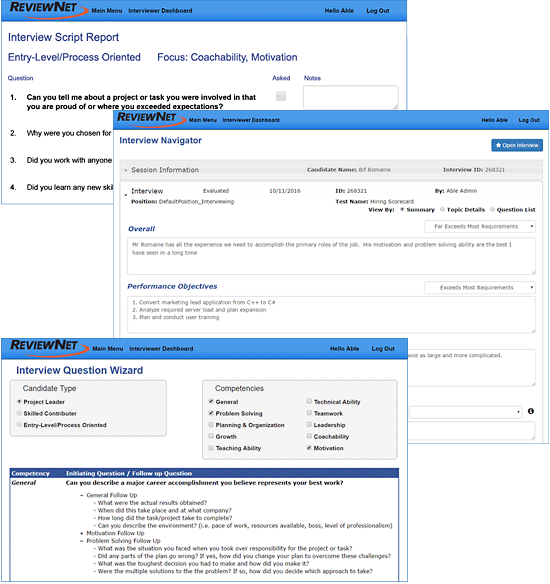 From start to finish, ReviewNet makes interviewing more productive and enjoyable. The end goal is to decrease hiring costs, while improving the quality and productivity outcomes of the people you are hiring. ReviewNet © Copyright 1998- ReviewNet Corporation. All rights reserved.